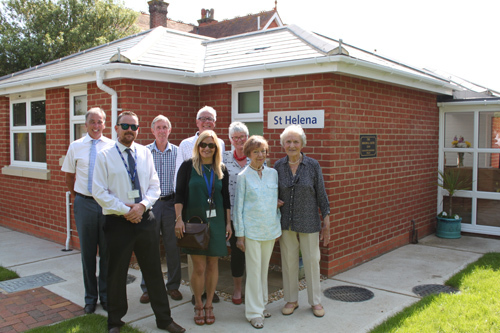 A new residential facility for people with autistic spectrum disorder, the first of its kind on the Isle of Wight, was opened in Sandown on 18 June. The facility consists of three new units, which were funded by the Fair Haven Housing Trust and built by Southern Housing Group, who will manage and provide support at the property. The two new bungalows and one converted flat will allow three adults with autistic spectrum disorder to live independently with the benefit of support from Southern Housing Group staff. Independent living helps increase residents’ levels of self-confidence. The support available will allow them to develop their social skills and learn how to cook, clean and maintain their tenancies. “We’ve worked with Fair Haven on several projects and we share a commitment to providing accommodation and services to adults with autism and learning disabilities. The facility will be known as the Birchall Suite in memory of Jenny Birchall, whose bequest to Fair Haven made the project possible. Southern Housing Group is one of the largest housing associations in southern England, and one of the Isle of Wight’s largest providers of care and support. The Fair Haven Housing Trust is a local, parent-led charity that aims to provide, and help to maintain, homes for people on the Isle of Wight with learning disabilities.